Through the male line, the father's arms only. Through the female lines, the arms of expired male lines. 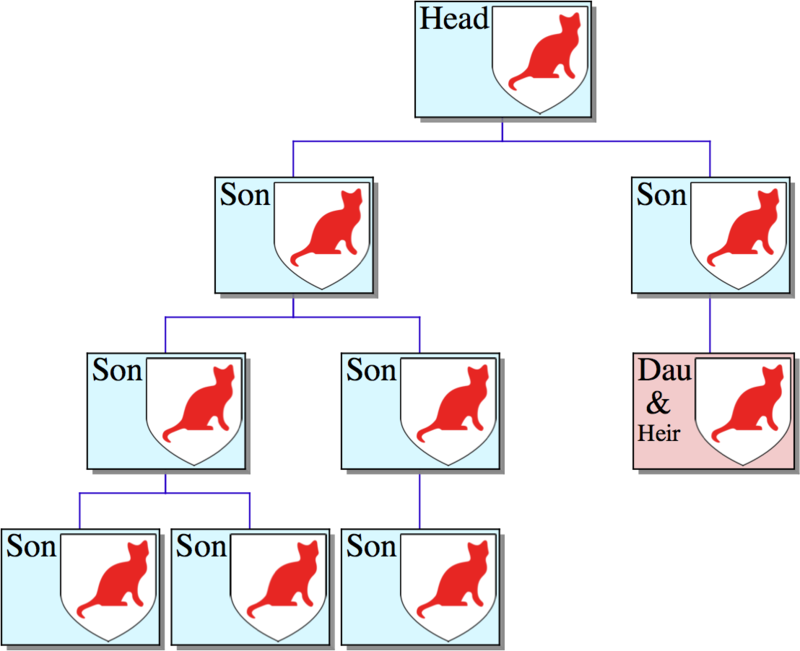 A female without brothers or whose brothers' line have expired, is known as an heir, sometimes 'heraldic heir'. If there are sisters, they are all co-heirs and have equal inheritances, there is no precedence for any elder sister. Note that the husband's arms go in the top dexter (left) position. This is because the children inherit primarily their father's arms. The quarters are numbered from left to right and top to bottom. The sons inherit these quarterings; if they marry further heraldic heirs they compound the new quarters with the old ones. And so on. As the centuries whiz by this can lead to greater and greater accretions of quartered arms. 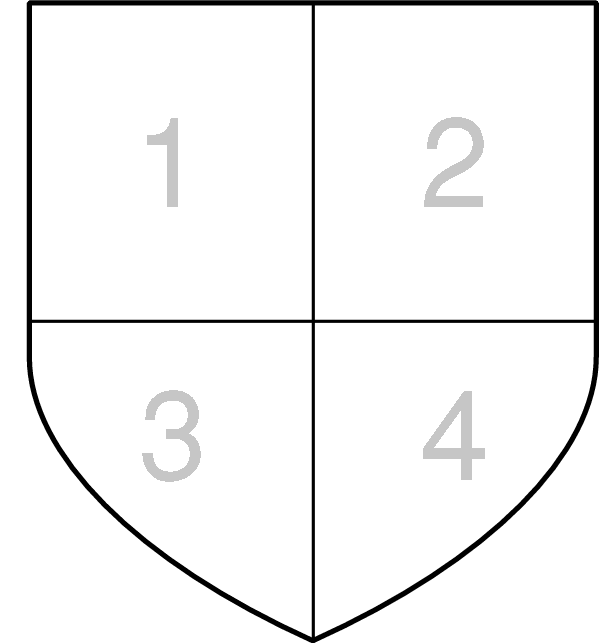 It is customary to insert in any left-over positions the arms from the beginning of the arrangement; this accounts for the symmetry of this primitive quartering. All daughters may bear their father's arms during their lifetime, but, unless they are heiresses, they are not inherited by their children. While this is sexist and may well get changed in a future aeon, these are the current rules of the current game. that Arms can legitimately be devised for a person, even if he lived before heraldry started. that Arms can legitimately be devised for a person some time after his death. Curiously for Henry Poole, lord Montague, he was shown with two arms, one certainly being those of his father. The other may have been associated with his mother, the countess of Salisbury. The college's reference for these is Vincent 20/136 so I presume there is some documentation they have to justify these double arms. 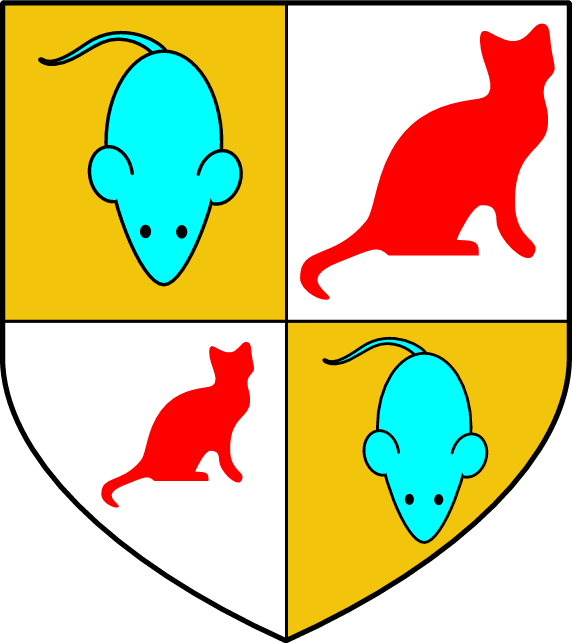 But the principle here is that if a person used more than one coat of arms in his lifetime, then both can be quartered. Next there were the four quarters shown for the Nevilles, one for the Nevilles who were male line descendants of Robert FitzMaldred (c. 1172-c.1242) and three for ancestors of his wife Isabella Neville. 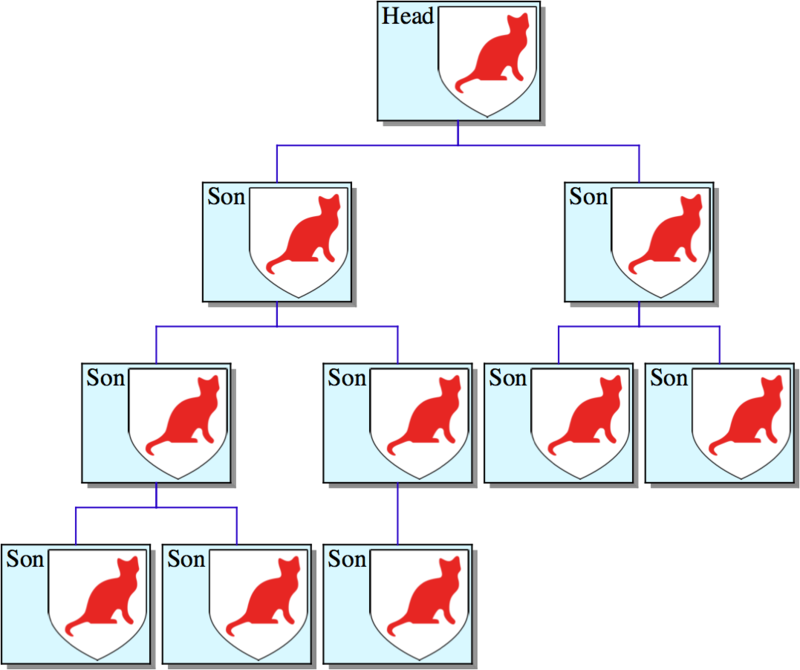 The principle implemented here is that all the arms born by male line ancestors may be quartered. Lastly the arms of an English, or British, sovereign may not be inherited as this would be an assertion of sovereignty and thus treasonable. The arms of a sovereigh son's may, of course, be inherited as these always include a difference mark so are not assertions of sovereignty. A subsequent insight relates to the quartering of the royal arms of Castile and Leon.